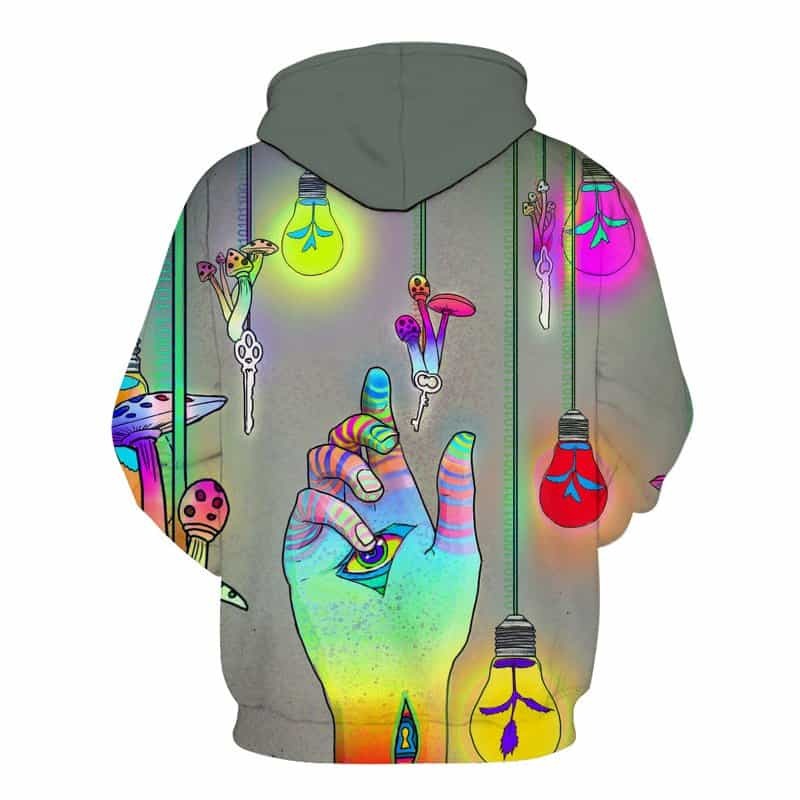 We call this the Trippy Fantasy hoodie. It was impossible to think of a different name. This design is absolutely trippy. 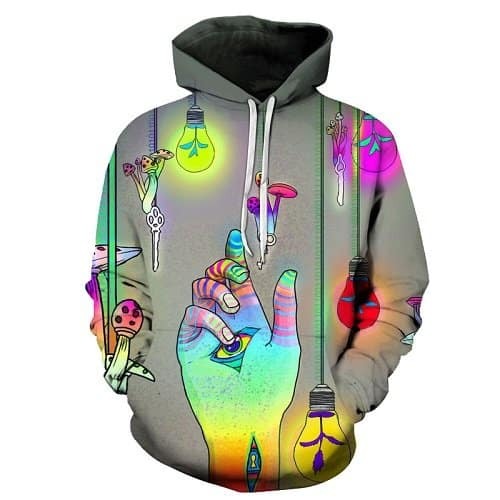 The pattern, colours and the objects used make an amazing hoodie print perfect for festivals. The hoodie is comfortable to wear, looks fashionable and is wearable anywhere. It was designed for both male and female.